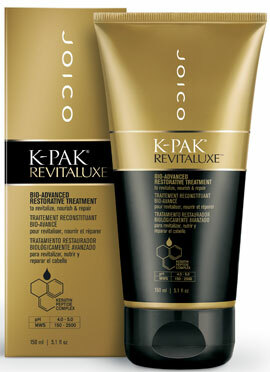 K-Pak, Reconstruct Shampoo, for Damaged Hair. Developed to begin the reconstruction process, this rich formulation cleanses the hair gently while drenching it in a rich, luxurious lather. Leaves hair soft and manageable without weighing it down. K-Pak Protect and Shine Serum 1.7 fl. oz. K-Pak Protect and Shine Serum - Triamine Complex helps reconstruct throughout the day. Protects hair from free radical damage, UV light and environmental pollutants. Helps prevent split ends and frizziness. Alcohol Free. Adds incredible shine. Body Luxe Conditioner Fullness & Volume 10.1 fl oz. Body Luxe Thickening Conditioner 10.1 fl oz. - Other sizes/options. Body Luxe Thickening Conditioner 33.8 fl oz. - Other sizes/options. Color Endure Conditioner for Long Lasting Color 33.8 fl oz. Color Endure Conditioner- For Long Lasting Color 10.1 oz. 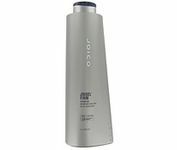 This color-preserving conditioner protects the vibrancy of color-treated hair with Joico's exclusive Multi-Spectrum Defense Complex. Hair color lasts longer; hair is softer, more manageable and stronger. Daily Care Balancing Conditioner-Normal Hair 10.1 fl. oz. - Other sizes/options. A daily conditioner for all hair types. Detangles hair without making it flat. Eliminates static electricity and adds luster. Daily Care Balancing Conditioner-Normal Hair 33.8 oz - Other sizes/options. This weightless daily conditioner maintains optimum moisture balance, instantly detangles and eliminates static without buildup. Hair is radiant with increased body and manageability. Daily Care Conditioner - for Normal to Dry Hair 10.1 fl. oz. - Other sizes/options. Fortified with starflower oil, this daily conditioner helps to prevent moisture loss on dehydrated hair while restoring resiliency and shine. Leaves hair strong, healthy and beautifully resilient. Protects against cuticle damage. Daily Care Conditioner - for Normal to Dry Hair 33.8 oz. - Other sizes/options. Daily Care Leave in Conditioner 10.1 fl. oz. Daily Care Moisturizer 10.1 fl. oz. - Other sizes/options. For dry hair. Fortified with panthenol, this moisturizing treatment conditions dry, damaged hair, while a pH of 3.5 helps to restore the cuticle to a more natural state by restoring body and elasticity. Hair is re-hydrated and demonstrates more luster, manageability and softness. Daily Care Moisturizer 5.1 oz. - Other sizes/options. Fortified with panthenol, this moisturizing treatment conditions dry, damaged hair, while a pH of 3.5 helps to restore the cuticle to a more natural state by restoring body and elasticity. Daily Care Moisturizer 35.2 oz. - Other sizes/options. This item is DISCONTINUED by the manufacturer. Intensive moisture treatment. Creates a protective barrier retaining essential moisture needed for dry or damaged hair. K-PAK Color Therapy Conditioner 10.1 oz - Other sizes/options. Hair is nourished and hydrated, leaving it instantly smoother, shinier and more vibrant. With continued use, hair’s strength, elasticity and resiliency are restored. Hair color is protected from fading that can be caused by environmental stresses and structural damage. K-PAK Color Therapy Conditioner 33.8 oz - Other sizes/options. K-PAK Conditioner 33.8 fl oz. K-Pak Deep Penetrating Reconstructor 5.1 oz. - Other sizes/options. A deep penetrating reconstructive treatment that rebuilds and improves the quality and structure of the hair. Strengthens hair inside and out. K-Pak Deep Penetrating Reconstructor 33.8 fl oz. - Other sizes/options. A deep penetrating reconstructive treatment that rebuilds and improves the quality and structure of the hair. Strengthens the hair inside and out. K-PAK Intense Hydrator 10.1 fl oz. - Other sizes/options. Replenishes moisture and lipids to overly dry, damaged hair, rendering it manageable, soft, shiny and hydrated. Seals the cuticle and improves elasticity. K-PAK Intense Hydrator 33.8 fl oz. - Other sizes/options. K-Pak Reconstruct Daily Conditioner 10.1 oz. - Other sizes/options. 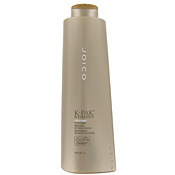 K-Pak, Reconstruct Daily Conditioner - This moisture rich daily conditioner reconstructs and strengthens damaged hair. Detangles and eliminates static while leaving hair smooth, silky and shiny. K-Pak Reconstruct Daily Conditioner 33.8 oz - Other sizes/options. K-PAK Reconstructor 8.5 fl. oz. 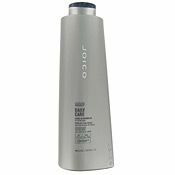 The RevitaLuxe Restorative Treatment features Joico’s new bio-advanced, patent-pending, Keratin Peptide Complex which actually mimics the natural hair repair mechanism that exists deep within the cortex of each hair strand. This complex features bio-mimetic peptides that actively target and rebuild weak, damaged and broken areas on the hair, instantly strengthening and rejuvenating. Tests on actual salon clients show that after just one use, hair contains four times as many healthy keratin peptides as it did before application; and after three days of use, it contains more than seven times as many peptides. This means that in addition to repairing existing damage, RevitaLuxe continues repairing and it stands guard against future damage from chemical, environmental and thermal stressors by creating a “molecular bandage” on the hair surface. It also helps prevent premature color fading and maintains color luster. Moisture Recovery Conditioner 10.1 oz - Other sizes/options. Designed for: dry hair Benefits: This technologically advanced marine-based conditioner contains Hydramine Sea Complex, Quadramine Complex and jojoba oil to provide the ultimate in moisture replenishment for dry hair. Dry hair is revitalized and emerges hydrated, smooth and manageable with increased elasticity. Moisture Recovery Conditioner 33.8 oz - Other sizes/options. Silk Result Smothering Conditioner 10.1 fl oz. This item is DISCONTINUED by the manufacturer. Silk Result Smothering Conditioner for Fine Hair. Joi Lotion - a medium hold lotion, touchable body, creates shine. JoiGel Firm 8.5 fl. oz. - Other sizes/options. Provides excellent support, control and shine for styling without flaking. UV protectants condition and protect against daily environmental stress. Maximum styling control, body and shine to support hard-to-hold hair. JoiGel Firm 33.8 oz - Other sizes/options. This alcohol-free, medium-hold gel adds pliable control, volume and shine during the styling process. Does not flake and dries quickly. Hair has touchable control with a vibrant, lustrous finish. Body Luxe Design Foam 8.5 fl. oz. Erratic Molding Clay 3.4 fl. oz. K-PAK Deep Penetrating Reconstructor 8.5 fl. oz. K-PAK Leave In Protectant 8.5 fl oz. - Other sizes/options. K-PAK Split End Mendor 3.4 This item is BACKORDERED from the manufacturer. K-PAK Thermal Design Foam 10.2 fl oz. Reactor Texture Transformer 1.7 fl. oz. JoiMist Firm 10.5oz. - Other sizes/options. JoiMist Firm - Medium hold shaping and finishing spray. Versatile fast drying spray enables easy styling. Leaves hair touchable. JoiMist Firm 9 fl oz. - Other sizes/options. This firm-hold aerosol spray locks in finished style for all-day hold and support. UV protectants protect against daily environmental stress. An excellent humidity-resistant firm-hold spray that maintains hairs shape throughout the day. JoiMist Medium hold shaping and finishing spray. Versatile fast drying spray enables easy styling. Leaves hair touchable. A medium-hold, flexible and humidity resistant aerosol hairspray that adds incredible shine and won't flake. This spray can also be used in conjunction with thermal styling tools, such as curling irons, flat irons or hot rollers, for additional volume and memory. Humidity-resistant formula provides beautiful, shiny flexible hold with outstanding shine. K-Pak Protective Hair Spray 10 oz. K-Pak Protective Hair Spray - Working spray that moistuizes and protects. Moisture Recovery Treatment Lotion 6.8 fl. oz. - Other sizes/options. Moisture Recovery Treatment Lotion 6.8 - Other sizes/options. This alcohol-free, firm-hold designing foam enriched with Kukui nut oil adds incredible shine, body and volume. K-Pak Thermal Designing Foam 10.2 fl oz. K-Pak Thermal Designing Foam - A medium hold mousse that adds body. Heat activated. Body Luxe Shampoo & Fullness 10.1 fl oz. Body Luxe Thickening Shampoo 10.1 fl oz. - Other sizes/options. Body Luxe Thickening Shampoo 33.8 fl oz. - Other sizes/options. Color Endure Violet Shampoo 33.8 fl oz. Color Therepy Shampoo 10.1 fl oz. Daily Care Balancing Shampoo 33.8 fl oz. Daily Care Conditioning Shampoo 33.8 oz. This item is DISCONTINUED by the manufacturer. This highly concentrated shampoo rich in EFA's replenishes moisture and elasticity to dehydrated or chemically treated hair. Hair is hydrated, renewed and healthy. Daily Care Treatment / Conditioning Shampoo try Reset by Biolage 10.1 oz. This item is DISCONTINUED by the manufacturer. This highly concentrated shampoo rich in EFA s replenishes moisture and elasticity to dehydrated or chemically treated hair. Daily Care Treatment Shampoo 10.8 fl oz. Daily Care Treatment Shampoo (old name biojoba ) 10.1oz. This item is BACKORDERED from the manufacturer. This daily shampoo provides a gentle balance of moisture and protein to strengthen and add suppleness to hair. Evening primrose and starflower oils also provide protection against both environmental and thermal damage. Hair is left feeling clean and fresh and in the optimum state for styling. K-PAK Color Therapy Shampoo 10.1 fl oz. - Other sizes/options. K-PAK Color Therapy Shampoo 10.1 oz - Other sizes/options. This color-preserving, reconstructing shampoo gently cleanses hair while improving its elasticity and shine and preventing color loss. Breakthrough QuadraBond Peptide Complex™ restores and protects hair’s natural B-layer, resulting in more vibrant, longer lasting hair color. K-PAK Color Therapy Shampoo 33.8 oz - Other sizes/options. K-Pak Reconstruct Shampoo, for Damaged Hair 10.1 fl. oz. 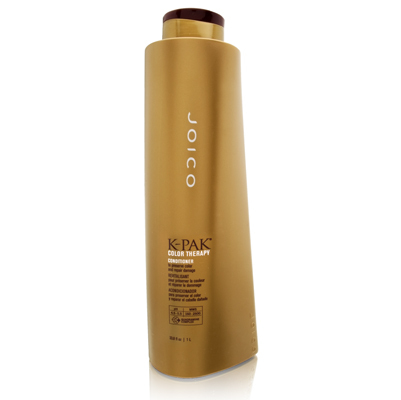 K-Pak, Reconstruct Shampoo, for damaged hair - Developed to begin the reconstruction process, this rich formulation cleanses the hair gently while drenching it in a rich, luxurious lather. Leaves hair soft and manageable without weighing it down. K-PAK Shampoo 33.8 fl oz. Moisture Recovery Shampoo 10.1 oz - Other sizes/options. Designed for: dry hair Benefits: The first step to revitalizing dry hair. 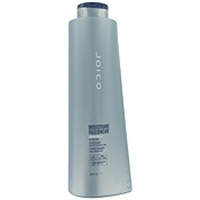 This hair-quenching shampoo provides gentle cleansing while restoring hair s moisture level. Moisture Recovery s exclusive Hydramine Sea Complex, combined with Joico s Quadramine Complex repairs and reconstructs, restores vital fluids and provides intense moisturization. Hair emerges hydrated, smooth and manageable with increased elasticity. Moisture Recovery Shampoo 33.8 oz - Other sizes/options. A luxuriously rich formula that cleanses and hydrates thick/coarse hair. Repairs and restructures hair for a silky smooth finish. Designed for: Those who desire a textured, next-day hair look. Designed for: Those with short-to-mid-length hair who desire high-impact shine and light, flexible hold. Designed for: All hair types to lock out humidity, eliminate frizz and prevent the style from collapsing. 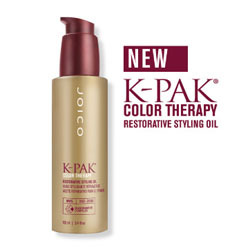 K-Pak Color Therapy Restorative Styling Oil 3.4 fl. oz. As a leave-in treatment: Massage a small amount into hands and apply to damp hair. As a styler: Apply to dry hair for added shine. K-Pak Smoothing Balm for Healthy Hair 6.8 fl. oz. Temporarily straightens hair the healthy way, with heat-activated conditoners. Eliminates frizz. Heat activated conditioners penetrate deep for strength and shine. K-Pak Liquid Reconstruct 10.1 fl. oz. K-Pak Reconstruct Split End Mender 3.4 fl. oz. This item is DISCONTINUED by the manufacturer. Designed for damaged, chemically treated hair, to both mend existing split ends and prevent new ones from forming. Features an exclusive dual-polymer technology that deeply penetrates porous hair ends to create an ultra durable bond. Also contains a combination of K-PAK technologies Quadramine Complex, Keratin Silicone Complex and Hair Protection System - ensures maximum protection and reconstruction from the cortex, locks in moisture, seals the cuticle, and delivers smoothness to the hair. Creme Wax 1.7 fl. oz. Definer Aqua Shine Wax 3.4 fl. oz. Gripper Mega Spray Wax 5.1 fl. oz.